Mark Weiser was a counselor (aka consultant) at the University of Michigan Computing Center while he was a graduate student in Computer and Communication Sciences in the mid to late 1970s. On April 27, the world of computing and information technology lost one of its most beloved and admired figures. Mark Weiser, chief technologist at Xerox PARC, died after a short illness. In recognition of his many achievements, and to remember his memory, SiliconBase, a digital archive of the history of Silicon Valley located at Stanford University, has created this site. Mark Weiser was born on July 23, 1952 in Chicago, Illinois. While in his 20s he worked for or founded several computer companies. He studied Computer and Communication Science at the University of Michigan, Ann Arbor, receiving an M.A. in 1977 and Ph.D. in 1979. After completing his Ph.D., Mark joined the Computer Science department at the University of Maryland, College Park. He taught at College Park for the next twelve years. 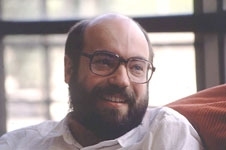 In 1987, he joined Xerox PARC as a research scientist; the following year, he was made head of the Computer Science Laboratory. He directed the Laboratory until 1994, when he founded a third company; two years later, he returned to Xerox PARC as its Chief Technology Officer at Xerox Palo Alto Research Center (PARC), a position he held until his death. In addition to conducting his own research, he helped develop initiatives to commercialize inventions at PARC. Mark was best known for his contributions to the field of mobile computing. He was often referred to as the father of "ubiquitous computing". He coined that term in 1988 to describe a future in which PCs will be replaced with invisible computers embedded in everyday objects. He believed that this will lead to an era of "calm technology," in which technology, rather than panicking us, will help us focus on what is really important to us. Other research interests included garbage collection, operating systems and user interface design. Mark, who held several U.S. and foreign patents, wrote or co-wrote more than 75 technical publications on such subjects as the psychology of programming, program slicing, operating systems, programming environments, garbage collection and technological ethics. He taught graduate and undergraduate courses on human factors, systems, and programming. He was a popular speaker at scientific symposia and conferences, and a frequent subject of media interviews. In addition to his work in computer science, Mark was the drummer with rock band Severe Tire Damage, the first band to perform live on the Internet. He was married with two children.